The Inclusive Strategic Growth Plan is the Community Plan for Derry and Strabane – a significant and exciting new statutory power which was handed to Councils as a result of local government reform. The development of the Community Plan was officially launched on Thursday 4th June 2015, and following a major public engagement campaign the final plan was unveiled on November 6th, 2017. At its heart lies the vision to create a thriving, prosperous and sustainable City and District with equality of opportunity for all. 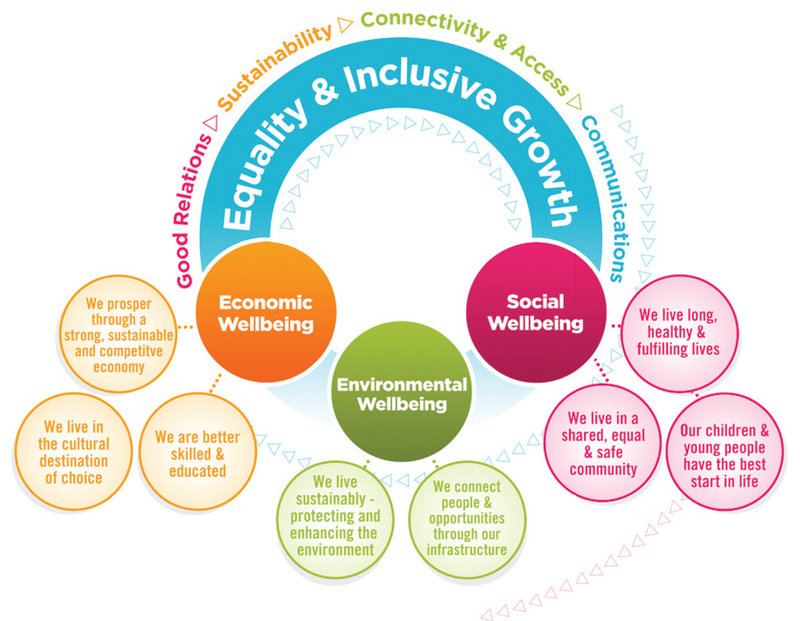 This new approach to driving inclusive and sustainable growth is dependent on effective partnership working among local agencies and responsibility for its delivery lies both with Council and a range of Community, Voluntary and Statutory bodies. The Strategic Growth Partnership has been established to provide governance and oversight of this process. The strategy stems from the expertise of these partners, wide ranging community feedback, as well as the strong evidence base provided by Ulster University’s Economic Policy Centre. The plan will be reviewed every four years to ensure it can evolve to meet the changing needs of people here. Key partners from the City & District tell us about the Strategic Growth Plan and what it will do for you. A thriving, prosperous and sustainable City and District with equality of opportunity for all.